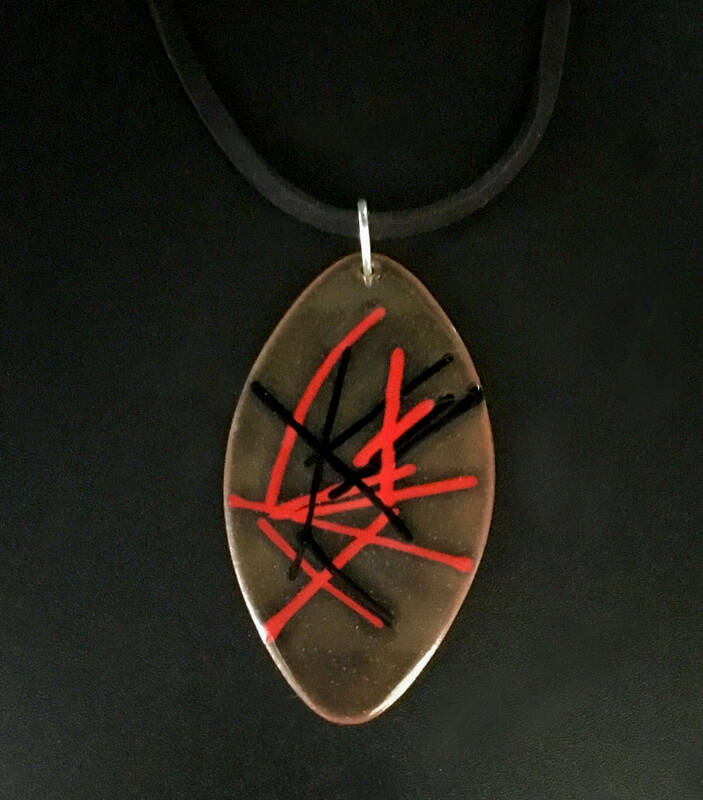 Bold EnamelArt vitreous enamel on copper necklace featuring a large oval with transparent grey enamel with black & red accents. 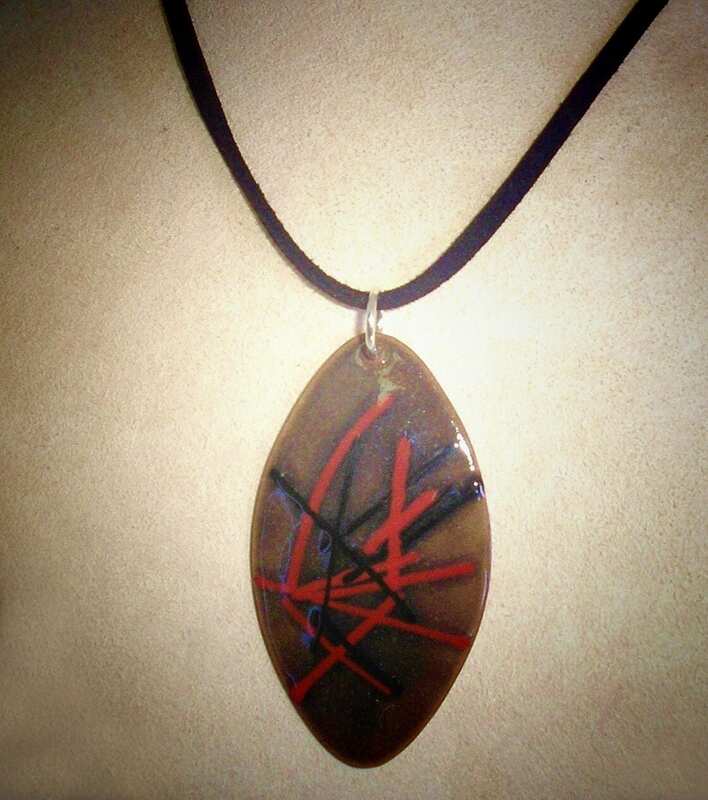 Pendant measures approximately 2 3/8" in length including sterling loop. Suspended from a black suede neckcord with sterling clasp.